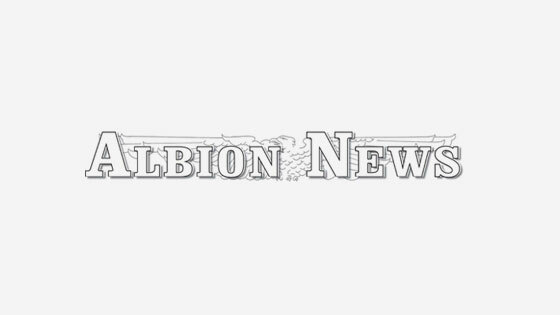 Farmers and ranchers who lost hay and livestock feed in the recent flooding are invited to come to Albion to get replacement feed. 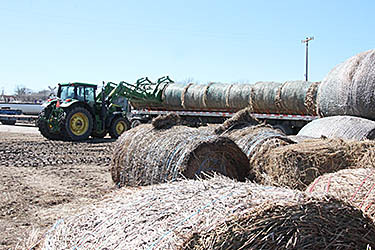 Hay from northern Kansas was being brought in to open lots south of Albion Livestock Market Inc. on Thursday as part of an effort to aid area livestock producers who lost feed stocks in the floods of March 13-14. A load of bagged dried distillers grains (DDGs), donated from Kansas by way of the Ord ethanol plant, was also available to producers. 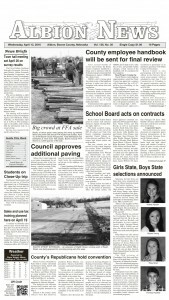 As many of 15 to 20 truckloads of big round bales were expected for this relief effort, according to Tye Austin, who was heading up the stockpiling of hay in Albion. This hay is available to any producer in Boone County or surrounding counties who lost hay in the recent flooding.